A Fistulogram is an advanced imaging technique that uses continuous, real-time X-rays (fluoroscopy). It evaluates the Fistula:and Sinus. The part of the body will vary depending upon the location of the abnormal connection being evaluated. Why is the Fistulogram radiology procedure Performed? A Fistulogram radiology procedure is used to determine the shape, size, and direction of abnormal tracts, namely fistulas and sinuses. In some cases, contrast-enhanced computed tomography (CT) scanning can help identify fistulas. There are no recent advances to a Fistulogram radiology procedure. What is the Cost of performing the Fistulogram radiology procedure? The cost of a Fistulogram procedure depends on a variety of factors, such as the type of your health insurance, annual deductibles, co-pay requirements, out-of-network and in-network of your healthcare providers and healthcare facilities. How does the Fistulogram radiology procedure work? Based upon a visual examination, the radiologist or physician makes an interpretation of the image. How is the Fistulogram radiology procedure Performed? 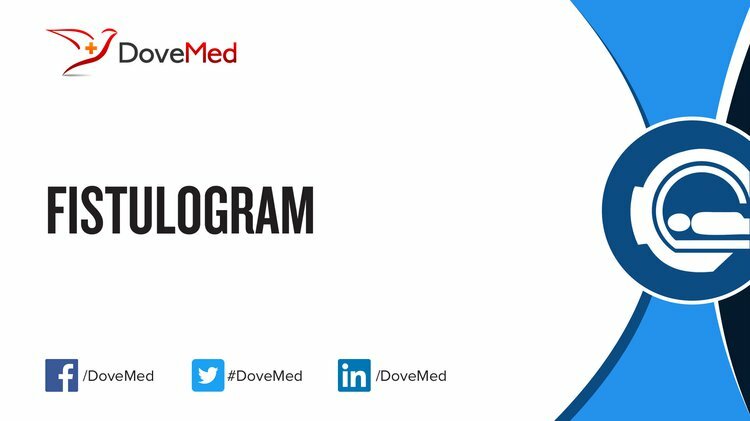 A Fistulogram is performed as an inpatient or outpatient procedure at a hospital, depending on the specific indication (cause of concern). The Fistulogram radiology procedure is performed by a radiologist or a radiology technologist, under the supervision of a radiologist. The duration of a Fistulogram procedure can vary greatly. It depends on the size and course of the abnormal tract. A radiologist interprets the results of the images and conveys them to the healthcare provider, who in turn informs the patient. A physician will request your consent for the Fistulogram procedure using an Informed Consent Form. What are the Limitations of the Fistulogram radiology procedure? In some cases, a Fistulogram radiology procedure may not adequately assess the abnormal tract, requiring the individual to undergo additional and/or more invasive procedures. What is expected during the Fistulogram radiology procedure? No anesthesia is given during a Fistulogram radiology procedure. Since the procedure is a minimally invasive one, the blood loss involved is minimal. What are the possible Risks and Complications during the Fistulogram radiology procedure? What Post-Operative Care is needed at the Healthcare Facility after the Fistulogram radiology procedure? Generally, no additional care is need at the Healthcare Facility after a Fistulogram radiology procedure. What is to be expected after the Fistulogram radiology procedure? It is common to see mild bleeding or bruising immediately following the procedure. One should be able to resume normal activities within 24 hours. What Post-Operative Care is needed at Home after the Fistulogram radiology procedure? No post-operative care is needed following a Fistulogram radiology procedure. Generally, no recovery time is needed following a Fistulogram radiology procedure. The Fistulogram radiology procedure does not involve the removal of any body tissue. Who will you receive a Bill from, after the Fistulogram radiology procedure? The patient is advised to inquire and confirm the type of billing, before the Fistulogram procedure is performed.